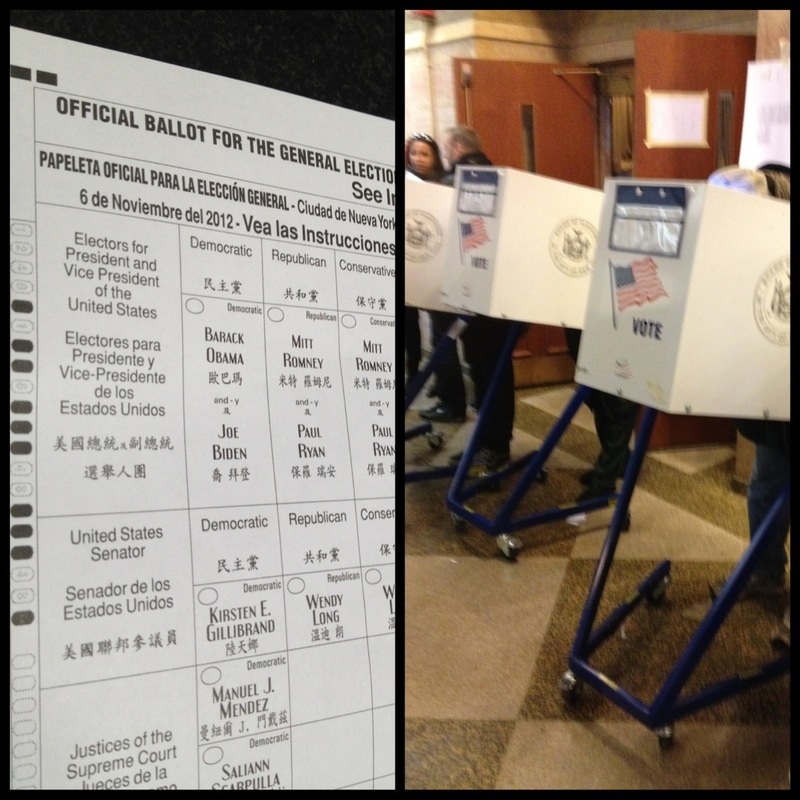 New York City…I have travelled the world, but I am a proud American…Getting home to vote was important to me! I didn’t want an absentee ballot…I wanted to be part of the history of this day…electing the next president of the USA! Some countries don’t have this right and I value that I can voice my position through my vote! The lines were crazy long! Over an hour and then once inside it was chaos! It is hard to believe in this time of technology that voting is such a pre- historic process! Manual ballots, printed books, and clueless volunteers are embarrassing for a country as advanced as ours! But what matters is that I exercised my ability and right to vote! 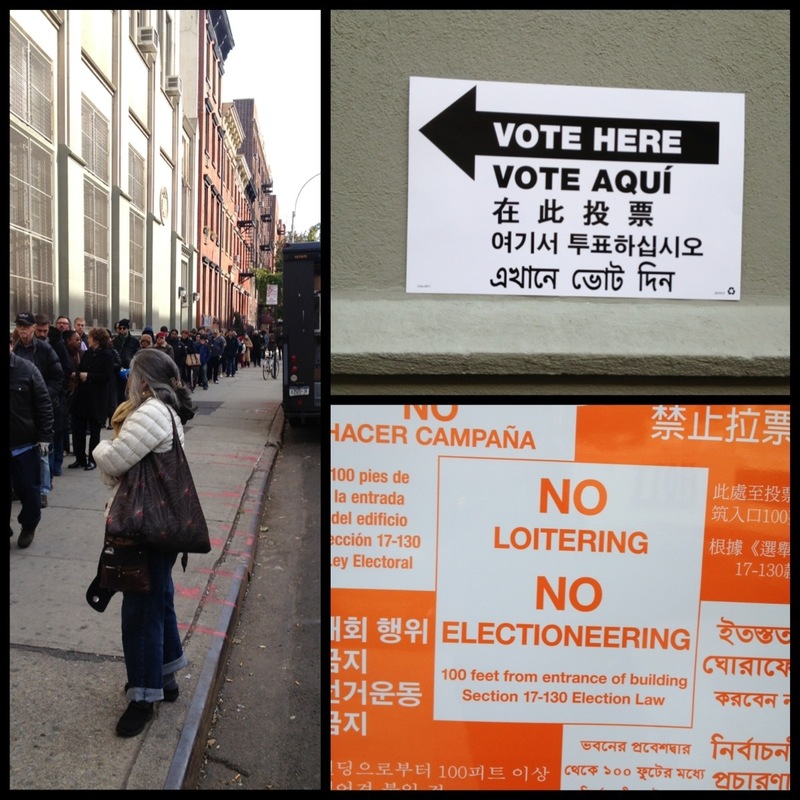 I was happy to see so many of my fellow NY’ers braving the long waits to do the same! I have experienced a world of cultures and I know our democracy is a great thing to celebrate and respect! « Older Post SIMply Fantastic! » Newer Post Winter Weather!